It truly boggles the mind how gifted some of our fellow humans are. It's hard for me to even fathom how these magnificent works of art were created. 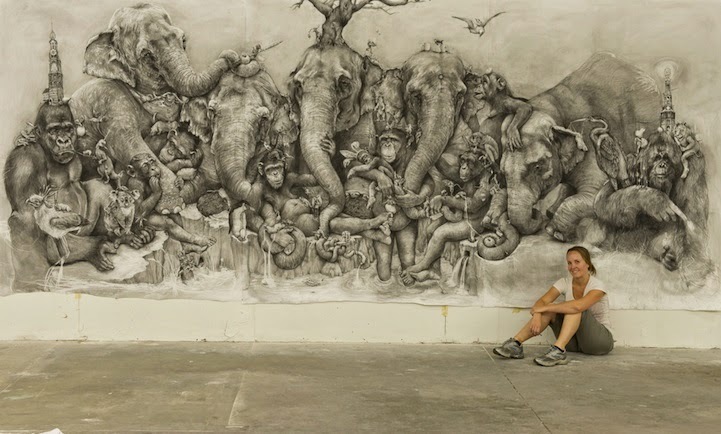 Adonna Khare won a $200K Art Prize back in 2012 for her otherworldly triptych entitled "Elephants"---drawn entirely, all 13-by-40 feet of it, with a pencil. 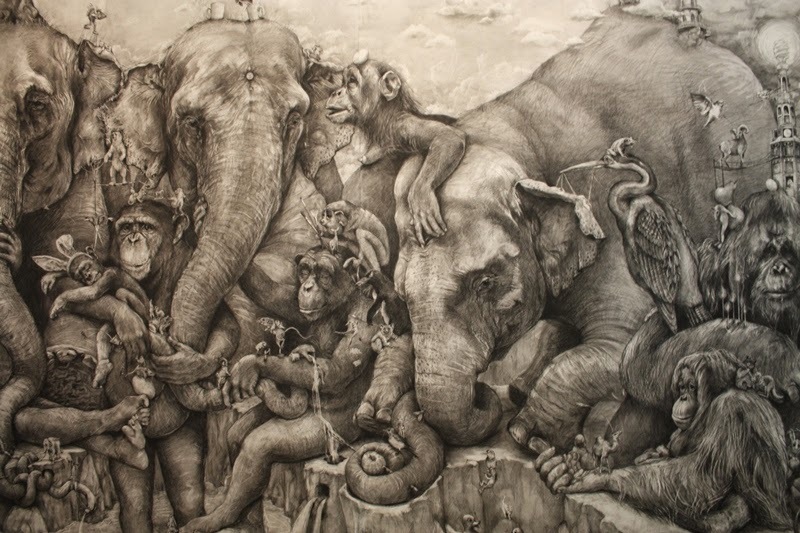 I'm blown away by this piece and how she did it. Apparently the arrangement wasn't even pre-planned, just flowed out this way. If you'd like to take a closer look there are videos on YouTube and plenty of pictures.